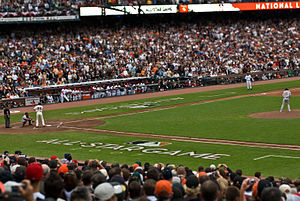 This year’s Major League Baseball All-Star Game will be played tonight at Citi Field in New York City. The MLB All-Star Game represents the best of baseball in 2013. In the history of the All-Star Game, we’ve seen players with solid careers and those who have started a season quickly and then had a career that faded. But having the tag “All-Star” next to their name was something that could never be taken away from that player. What about those players who had solid careers but never made it to the MLB All-Star Game? Here’s a look at two stats that will help us put a name on some of those players. First, here’s a look at those pitchers who had 150 or more career wins but never made it to the All-Star Game. One active pitcher, A.J. Burnett, is quickly approaching this list. The Pirates right-hander is 4-6 this season and has 141 career wins. He has never been selected to an All-Star Game. For batters, let’s take a look at home runs. Here’s a list of the players who have hit 250 or more career home runs who never played in an All-Star Game.